Poverty cannot be a hurdle if one has firm determination and strong will to succeed in life. A youth from Majuli, the river island district of Assam has proved that if one has merit, nothing can come in the way to achieve one’s goal. 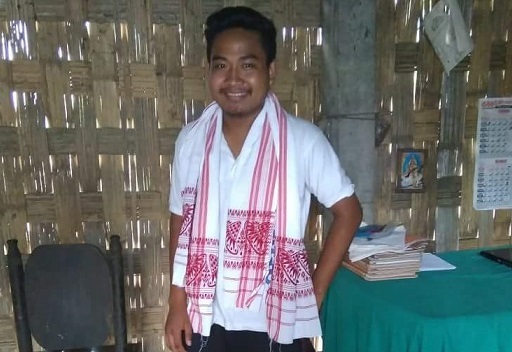 Babul Pegu, son of a very poor farmer Dairing Pegu of Jengraimukh Mahuachuk village of Majuli cracked the entrance examination to bag a coveted seat in Indian Institute of Technology (IIT). His achievement is indeed a matter for pride for entire Majuli. Babul moved ahead chasing his dreams depite acute poverty that his family was suffering all through. A strong will, dedication and hard work paid off for Babul finally. Babul managed to bag a seat at IIT-Hyderabad where he will pursue chemical engineering amid hurdles at every step of his academic career. Today, Babul is indeed a happy man and his parents and residents of his native village are naturally elated. Babul’s mother works as a domestic help at other people’s residences to maintain the family, while his father is a farmer.